The crew of the skipjack City of Crisfield drops the dredge while sailing in Tangier Sound. 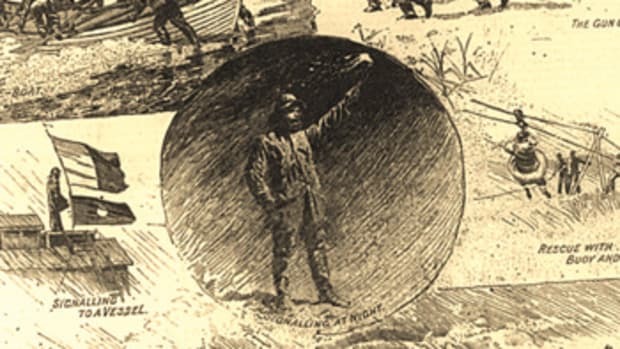 The skipjack workboat was developed in the late 1800s as the successor to the larger schooner-style bugeyes that were used to harvest oysters under sail in the 19th century. Skipjacks are smaller, more maneuverable and are able to work in shallower water than their predecessors. Seafood dealers buy oysters from skipjacks at the dock. Skipjacks were only permitted to dredge for oysters under sail in Maryland waters until the law was changed in the 1960s. 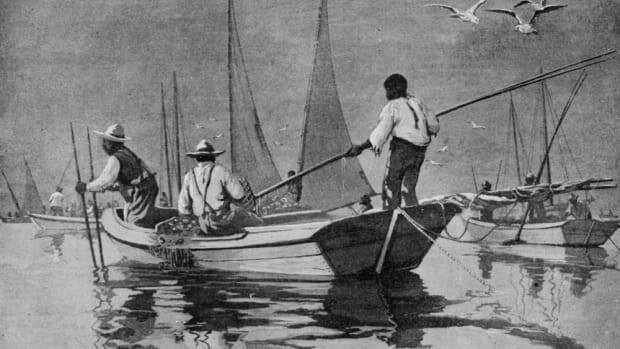 The change in legislation allowed Maryland boats to dredge under power with the assistance of a “yawl,” or push boat, two days a week. Skipjacks are permitted to sail-dredge the other three days of the week. Today, it is rare that captains want to sail-dredge with crews that are unfamiliar with sailing. 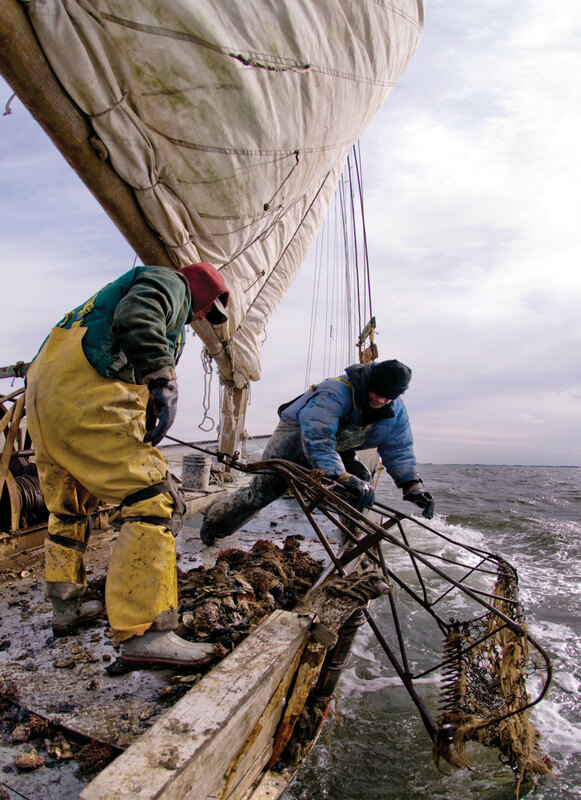 Currently skipjacks are permitted to harvest 150 bushels per day off public oyster grounds, more than any other method of harvest. 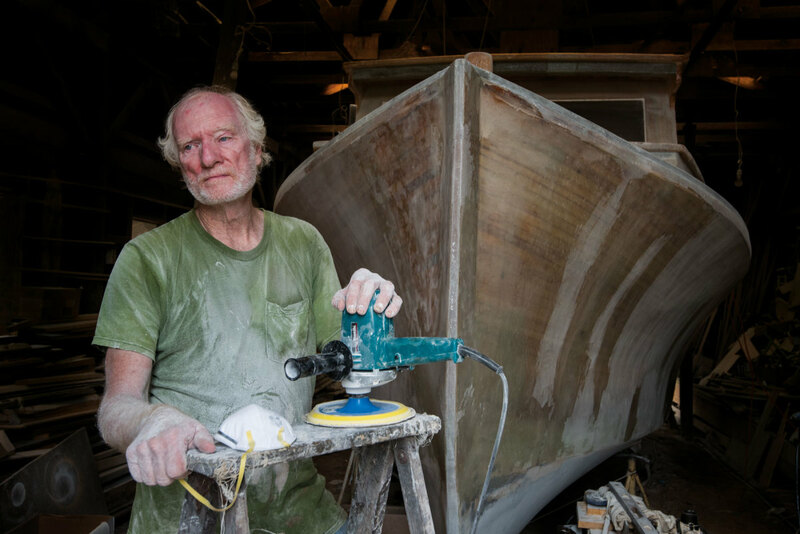 There are roughly 15 working skipjacks left on the Bay, with the number slowly increasing, as more watermen are restoring the iconic sailing vessels. 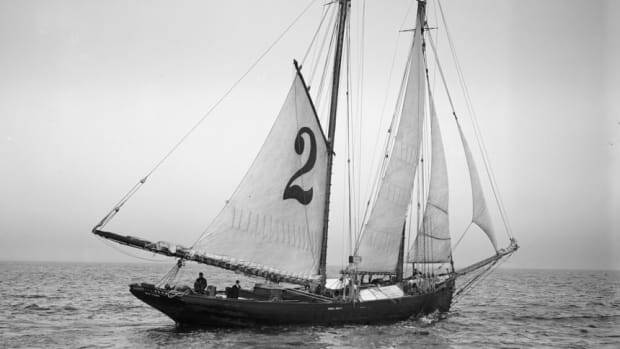 Skipjacks were designated as the state boat of Maryland in 1985. Workboats maneuver to transfer oysters to the buyboat Delvin K.
In the past, buyboats were the main connection between oyster harvesters and shucking houses. Buyboats purchased oysters on the water from the workboats and transported them to the shucking houses. The development of efficient trucking and transportation made buyboats somewhat obsolete. 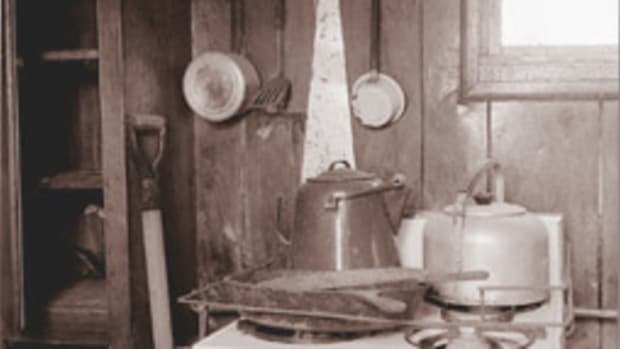 Trucks were less expensive to operate and maintain than 60-plus-foot wooden boats. Now most watermen unload their oysters directly into trucks that are sent to buy product by the shucking houses. 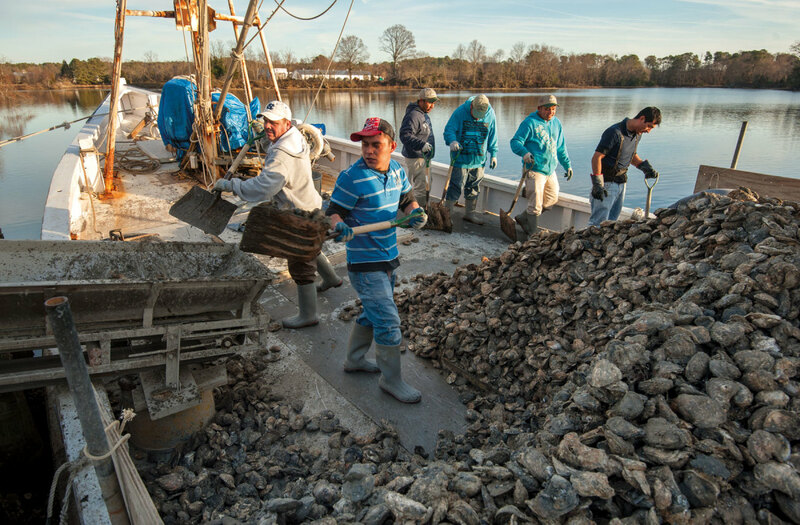 Laborers offload the shellfish at the dock. Many Chesapeake buyboats have been converted to crab-dredging boats that work Delaware Bay, to pleasure craft and to shell-moving boats. However, there is still one buyboat on the Chesapeake Bay that lives up to its name. 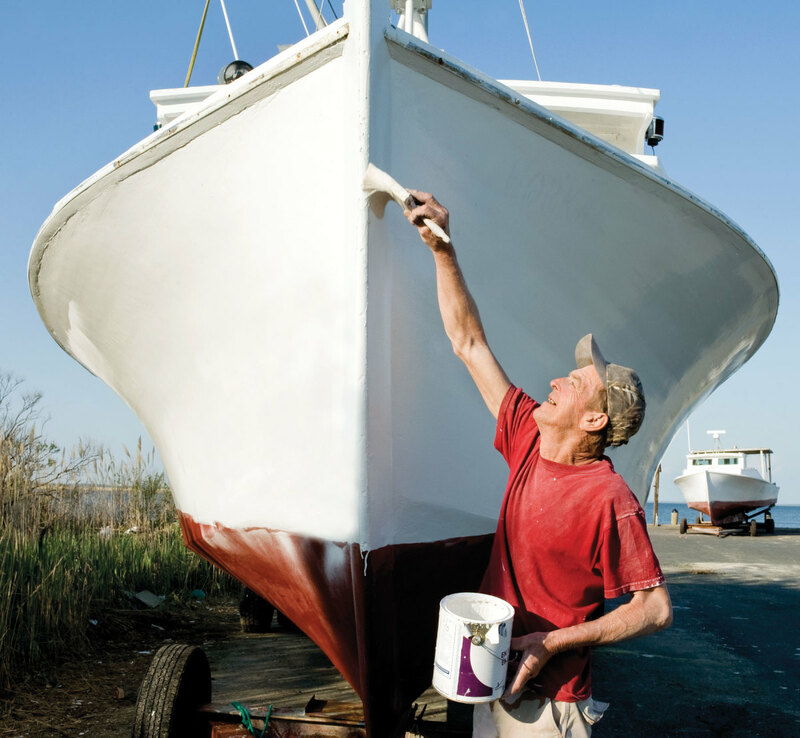 The Delvin K, owned and operated by Tangier Island waterman Jerry Pruitt, is still working as a traditional buyboat. Jerry and his crew unload oysters from the Tangier power dredge fleet onto the deck of the Delvin K. The boat can safely hold 400 to 500 bushels of oysters. 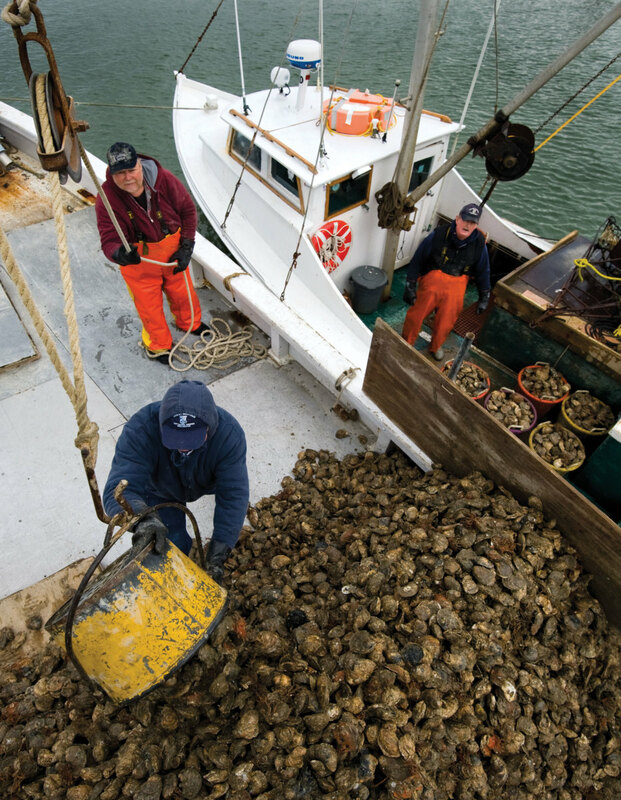 Crewmembers load the Delvin K with oysters from workboats that power-dredge in Tangier Sound. 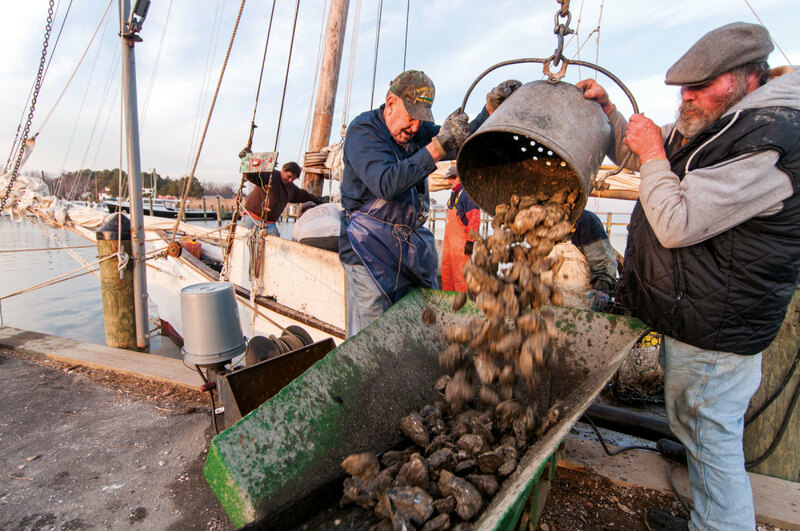 Jerry then hauls the oysters across the Bay to Reedville, Virginia — a 10-mile trip one way. In Reedville, a buyer from a shucking house meets the buyboat, and the oysters are unloaded to a truck. It takes six to 10 laborers the better part of an hour to unload the oysters. Jerry collects payment from the shucking houses for the oysters and charges the watermen $4 per bushel for hauling and selling the oysters. The remote location of Tangier is keeping the tradition of the buyboat alive on the Chesapeake. 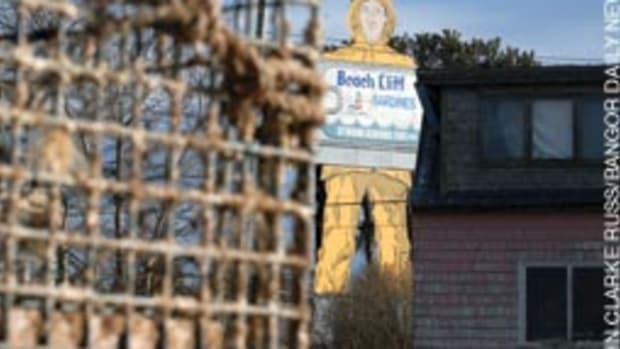 Boats working on the Bay are subjected to harsh weather conditions and abuse from fishing gear. Proper maintenance will help watermen keep their boats safe and reliable. As with any piece of equipment used for work, continuous maintenance can be costly, and in some cases, replacement is the most cost-effective option. Mark Holitick paints Workaholic before the start of crabbing season. 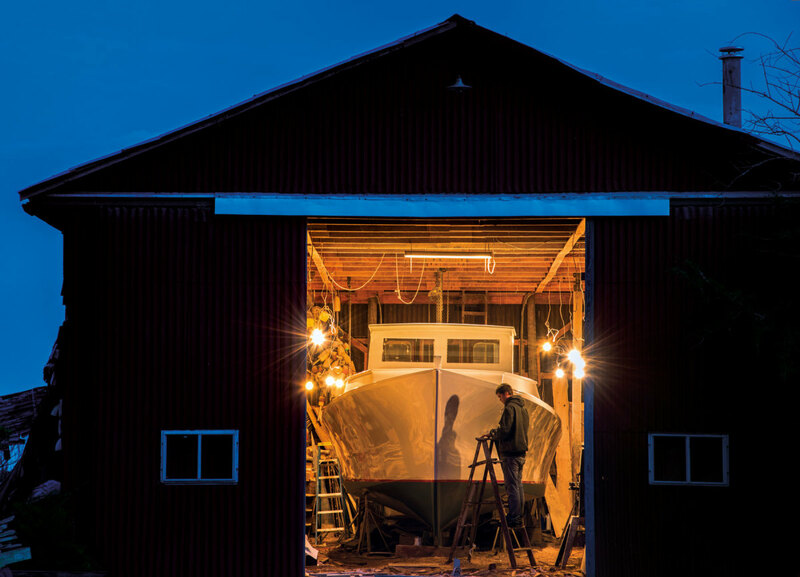 Modern workboats are constructed from a mix of wood, fiberglass and epoxy resin. 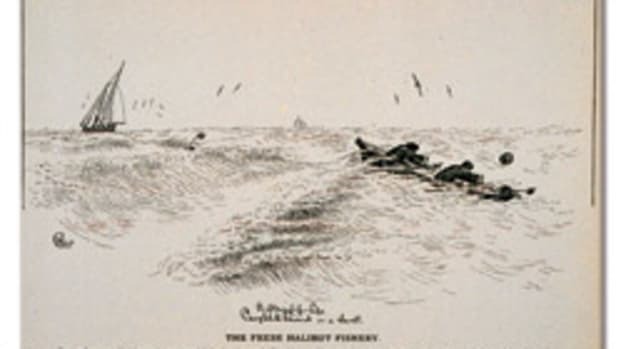 The development of hulls built of fiberglass caused more watermen to opt out of using 100 percent wooden boats. Wooden boats are more prone to deterioration and require more maintenance. 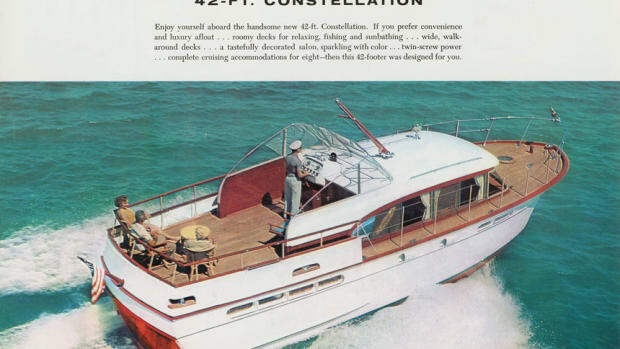 Fiberglass boats, too, will require maintenance but will outlast a wooden boat. New construction of a 38-plus-foot workboat, fiberglass over wood planking, will range in cost from $30,000 to $100,000, depending on the rigging. A new engine costs an average of $25,000. 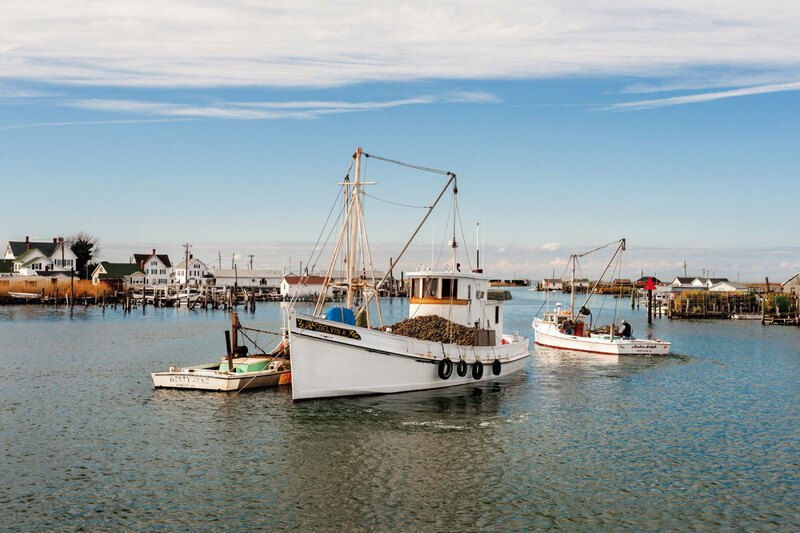 Constructing and maintaining a workboat is an expensive part of seafood production that is invisible to many consumers. About the author: Jay Fleming often says he found his love of photography when he inherited his father’s film Nikon N90s at age 14. But since his father, Kevin Fleming, was a photographer for National Geographic, we think some genetic talent may have preceded the gift. 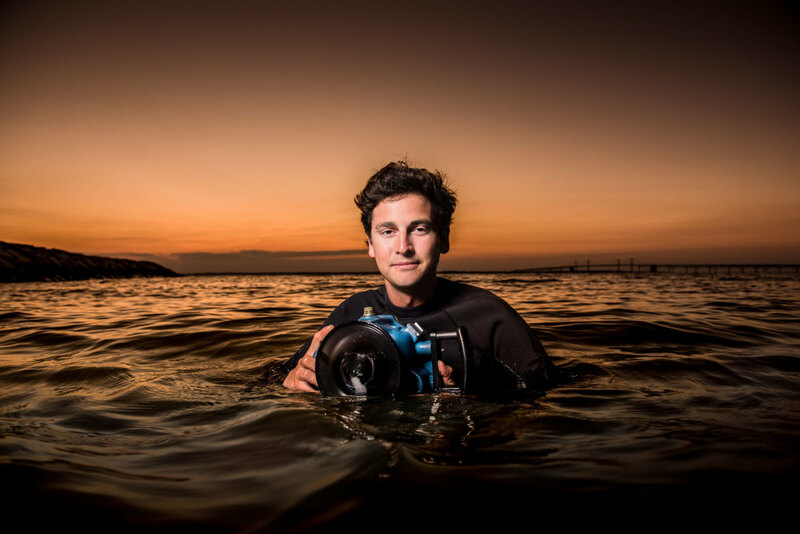 Since then, Jay has built an extensive portfolio that showcases his deep appreciation of the water and his passion for protecting it. 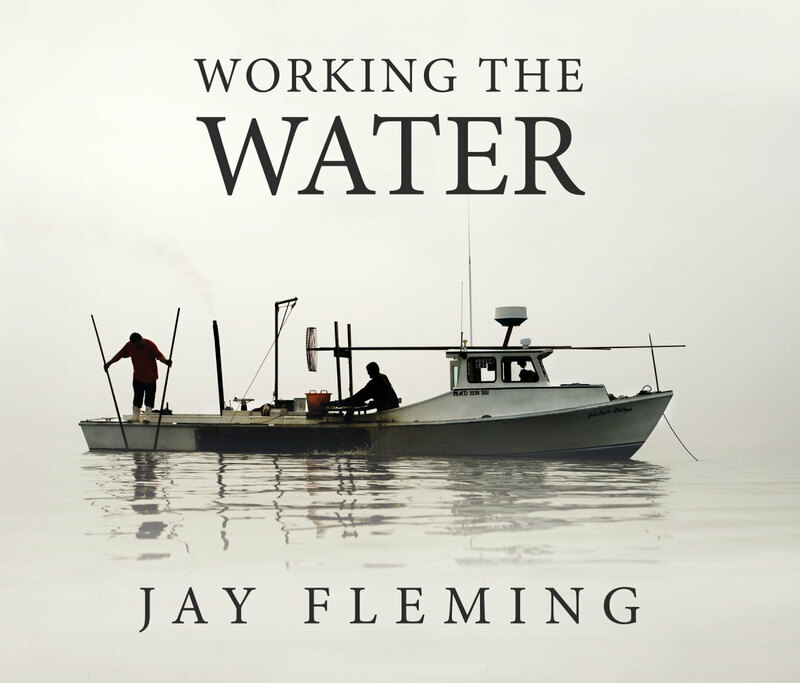 See more of Jay’s work and purchase copies of Working The Water at jayflemingphotography.com. The 1950s were a decade of change. A late 19th-century pilot boat rides off Sandy Hook, New Jersey, at the outer entrance to New York Harbor, in this image from the early 1900s.